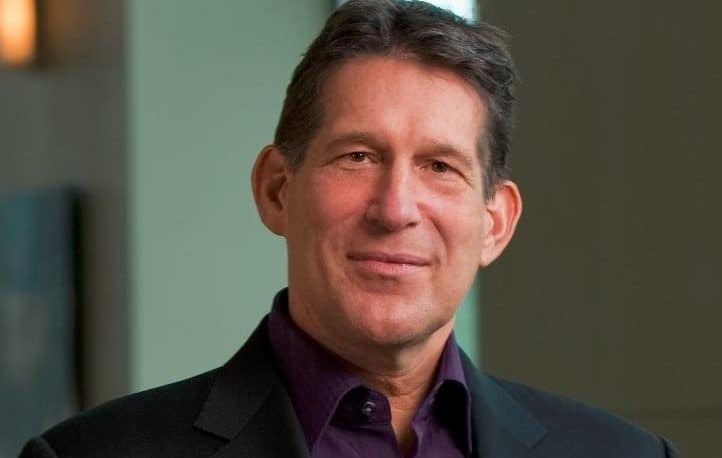 Jeff Sawyer is a seminar leader for Landmark Education, as well as being the Medical Director for Psychiatry & Integrative Care at North Memorial Hospital in Minneapolis. 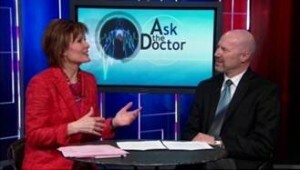 Sawyer recently appeared on the ‘Ask the Doctor’ segment of an NBC Morning News program in Minneapolis. A transcript of the interview is given below. Interviewer: Well, we often here that laughter is the best medicine, but can it really have an impact on your physical and mental well being. Well, in today’s Ask the Doctor segment the link between health and humor, Dr. Jeffrey Sawyer, the Medical Director for Psychiatric Services at North Memorial joins us right now. And you’re explaining this as we were looking over kind of some notes a little bit. Is it really true that laughter is really a healing source for us? Interviewee: Absolutely. You know, laughter can affect a variety of physiologic symptoms in the body, so laughter, when we laugh it increases our heart rate. It increases our blood pressure. It sends more oxygen to all the vital organs in the body, which then just produce a sense of well being. It reduces all of the stress hormones, things like cortisol, which are the stress hormones. It improves our immune function and then starts to set off and release some of the important hormones and chemicals in the body that are important in happiness. Interviewer: We have video of people laughing together here and it sounds like laughing with others more powerful than just laughing alone? Interviewee: Absolutely. You know, when we laugh in groups it actually stimulates what we call mirror neurons in the brain. So mirror neurons are neurons that are set up to actually mimic actions that we see that we can actually do ourselves. So when someone else is laughing it stimulates these neurons, which then stimulate us to laugh and so even if it’s a fake laugh it stimulates a genuine laugh in us, which then will simulate a genuine laugh in someone else. Interviewer: All right. It seems like if I’m reading a book by myself and something will make me chuckle, but if somebody is telling me a story and we’re agreeing on something it just seems like the body erupts into bigger, louder laughter. Interviewee: But, you know, very shortly people were just roaring in laughter. We did this for 20 minutes and the energy that that created was just phenomenal. Interviewer: I was at a dinner party on Saturday night and one of the women was retelling a story, but she was giggling so hard that she couldn’t even get out the thing and once she started giggling and laughing all the rest of us did too. So I mean it was just instantaneous combustion basically for all of us, because we were all laughing at her laughing. Interviewee: Right. Yeah. Sometimes we don’t even know what we’re laughing about, but you just, you know, you get caught up in it. Absolutely. Interviewer: Also, let’s talk about how do you bring then more laughter into your life? Interviewee: Well, you know, I think there are the basic things, obviously, just spending time with family and friends and doing things that are enjoyable would be the primary way for most of us. But there are more structured and intentional ways to bring laughter, and probably even more so, laughter and happiness and contentment into our lives. Interviewee: So if we look at the research on positive psychology; Martin Seligman is kind of the grandfather of that work, and he talks about the three dimensions of happiness being pleasure, virtue, and purpose. So these would be important things to have in our lives that create a sense of happiness and really, optimism. And then you can look at some of the best work that I’ve found actually is work through an organization called Landmark Education, which is a global educational organization that provides cutting edge seminars that really have people having powerful breakthroughs in their levels of happiness, and contentment, and well being, and piece of mind. And it’s really life altering work, but there are things like laughter yoga, which takes off on this group laughter experience, and smiling meditations, and all kinds of work in Mind, Body, Medicine. I’ve done some training through the Center for Mind, Body, Medicine, and very creative meditative techniques that people can learn in group settings. So there are lots of ways to engage this work. Interviewer: All right. Well, thank you so much for joining us today. Interviewer: We all need a little more laughter in our lives. For more information about North Memorial, check out our show page at kare11.com and we are located under the news tab. A children’s book by Landmark Education graduate Maria Dismondy looks at bullying.